When you earn a gold medal and international sports glory at the Olympics, there's likely no wrong way to celebrate the victory with your teammates, friends, and family. But if you're an Olympic gold medalist from New Jersey, it looks like there's one right way to celebrate: go to Wawa. 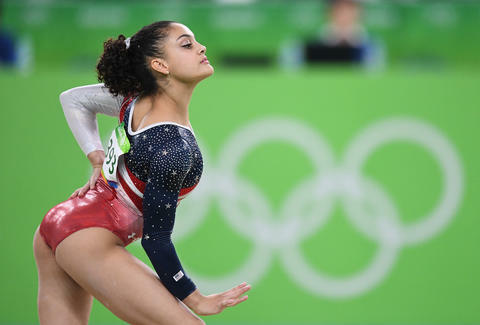 At least, that's what the brother of Team USA gymnast and first-time Olympic gold medalist Laurie Hernandez plans to do -- as soon as she arrives home to New Jersey from Rio, according to a report by Philadelphia magazine. The trip to Wawa should come as no surprise to folks from the East Coast, where the deli/coffee joint/convenience store/gas station chain has a cult-like following similar to that of In-N-Out Burger on the West Coast. Wawa's big menu of specialty items are particularly great, as we explained in a recent ranking. And evidenced by Marcus' post, it seems like a great place for some brother-sister bonding. Basically, it's the place for champions. Tony Merevick is Cities News Editor at Thrillist and loves the cult-live followings around regional convenience stores chains. Send news tips to news@thrillist.com and follow him on Twitter @tonymerevick.